Entrance to the Baseball in the Berkshires Museum. 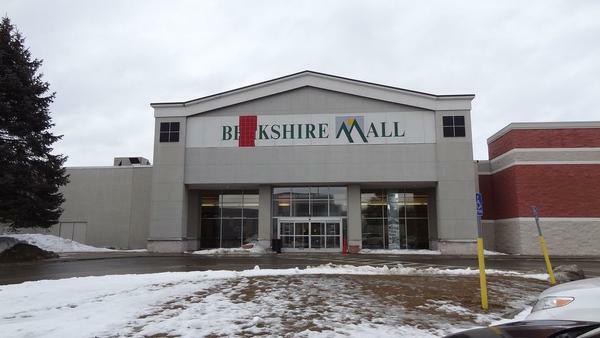 The Berkshire Mall in Lanesbourough, Massachusetts. Inside the Baseball in the Berkshires Museum in the Berkshire Mall. A historical image of the Maplewood Young Ladies' Institute. The Baseball in the Berkshires Museum celebrated its first anniversary this spring. 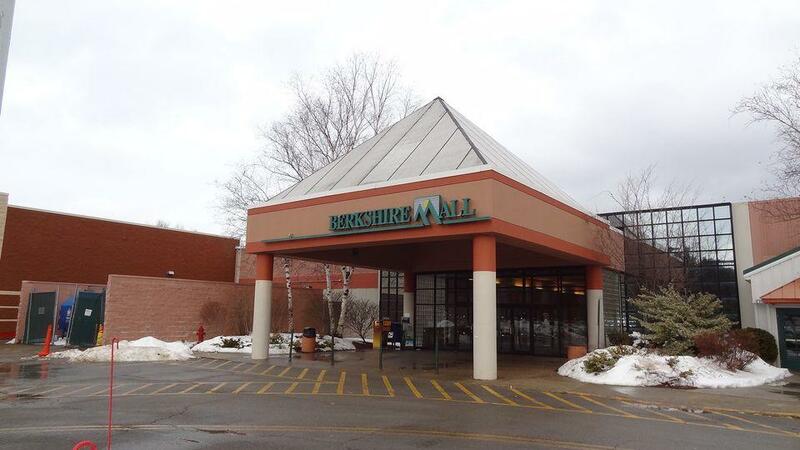 The museum offers a chance to learn more about America’s pastime, and its rich -- and surprising -- connections to Berkshire County. The museum has collected more than 1,200 artifacts, representing everything from Little League, town, and American Legion teams to the majors and minors. Perusing the autographed balls and uniforms, pennants and posters, score cards and photographs, you'd never know you were standing in a 3,500-square-foot former Eddie Bauer store. But then museum director Larry Moore points out a door in the back -- the kids’ locker room -- which happens to be a former Eddie Bauer dressing room. Burgeoning baseball fans can try on professional uniforms, mitts and catchers’ masks. They can compare their handprints, footprints and heights with some of the dozens of pro players who grew up or settled in the Berkshires. At 5-foot-7, Ulysses F. “Frank” Grant was born in Pittsfield, Massachusetts, in 1865. The African-American second baseman couldn't break the color line to join the majors. But his performance in the integrated minors -- and with touring black teams, like the Cuban Giants -- got him into the Baseball Hall of Fame. The Berkshires’ other inductee in Cooperstown is North Adams-born “Happy Jack” Chesbro. The pitcher’s 41 wins during the 1904 season is still a major league record. But baseball in Berkshire County stretches back long before Chesbro and Grant laced up their cleats. Case in point? A facsimile of a local 1791 ordinance, hanging on the museum's back wall. Pittsfield created this bylaw after building a beautiful new meeting house, designed by superstar architect Charles Bulfinch. “It had glass windows, which were a treat around here, and expensive to replace,” said baseball historian Jim Overmyer. The meeting house was opposite the town common, now called Park Square. Overmyer said this was a hot spot for games -- especially games with balls. So in 1791, Pittsfield banned all ball games within 80 feet of the meeting house. “Because they didn’t want the windows broken!” Overmyer said. The official list included cricket, something call cat, another game called fives -- and yes, even baseball. The 1791 bylaw banning baseball from the area, Overmyer said, is one of the earliest recorded mentions of the game in the U.S.
Nearly 70 years later, and about ten blocks north, Pittsfield scored another run in baseball history when Amherst College challenged Williams College to a game. 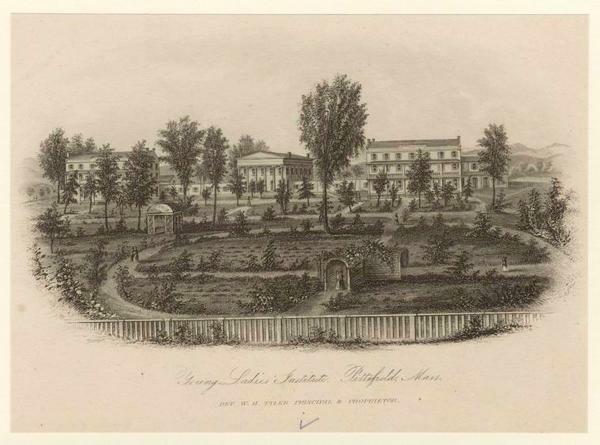 The rivaling schools sought a neutral site, and in 1859, they agreed to play at the Maplewood Young Ladies’ Institute. Maplewood had recently purchased a building from the city of Pittsfield, then relocated it to campus. And get this: that building was none other than the Bulfinch meeting house. 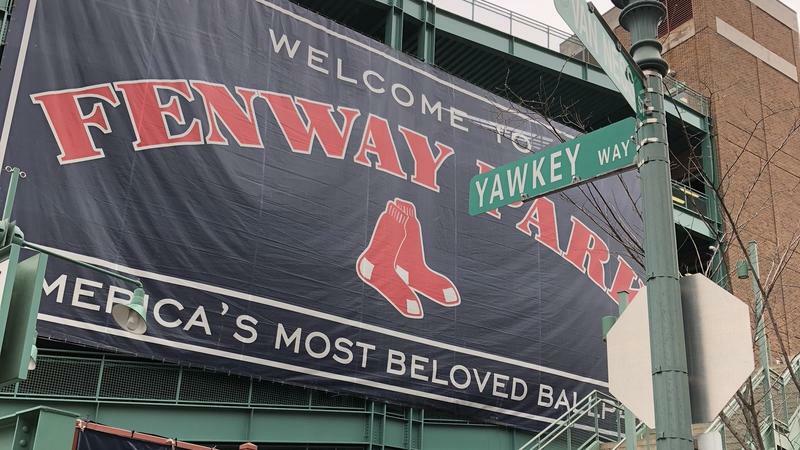 “So the ironic thing is, the baseball game was played next to the building that before, everyone had worked so hard to protect from baseball!” Overmyer said. Luckily, no windows were broken in what would become the country’s first official intercollegiate baseball game. It lasted 26 innings. Amherst trounced Williams: 73 to 32. Tom Daly, president of the Baseball in the Berkshires Museum, stood in a baseball field at Wahconah Park in Pittsfield, built in 1892. Hall of Famer Carlton Fisk got his start in this park. Satchel Paige passed through. A young Lou Gehrig hit a homerun into the nearby Housatonic River. “One of the things that is unique about this park is that it faces the wrong direction for today's baseball -- it faces west,” Daly said. This was no big deal back when all games were day games. With most of today’s games played in the evening, the sun sets right in batters’ and catchers’ eyes. “They have to stop the baseball game for about 20 minutes to let the sun set. They have ‘sun delays,’ much like a rain delay,” Daly said. Wahconah Park is among the last remaining baseball stadiums with a wooden grandstand. It’s also one of the nation’s oldest ballparks with an active team. Its current residents? The appropriately-named Pittsfield Suns, whose players’ memorabilia may very well end up at the Baseball in the Berkshires Museum.